It’s never too early to start learning. When it comes to teaching science to kids, here’s my advice: don’t shy away from talking about topics like mitochondria or nuclei. Children are curious and intelligent. They can understand complex scientific concepts if you engage them in the right way. So it’s time to set aside the baby talk and educate young minds about science early so that they can understand their own biology and the world around them. There are many ways to educate kids about science, but a tried and true method is children’s picture books. Images capture children’s attention and tell a visual story that connects with their brains better than words can on their own. One of my favorite children’s science books is a series called “Think-A-Lot-Tots.” They are written for babies, toddlers and kids and have beautiful hand-drawn illustrations. The author, Dr. Thomai Dion, is a pharmacist and science writer who was inspired to write this series to satisfy her young son’s curiosity for science. So far she has written books about animal cells, neurons, microorganisms, and just this week, she published a new book about stem cells! I have to admit that I’m to blame for this new stem cell book. When I first read her stories, I was so excited by how simply and elegantly she wrote about neurons, that I started daydreaming about a children’s book on stem cells. I contacted Thomai and asked her whether she wanted to collaborate on a stem cell book. She was very eager, so I wrote the initial script and Thomai used her artistic expertise to visualize my ideas. Fast forward three months and Thomai has turned my dream into a wonderful book that I can share with my family and friends with kids! 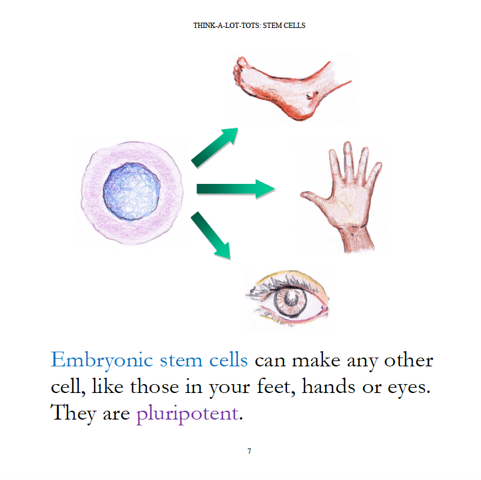 The stem cell book covers the basics, starting with what a stem cell is and then expanding into the different types of stem cells in the body. By the end, kids will understand that they come from embryonic stem cells and that they have adult stem cells in their body that keep them healthy. 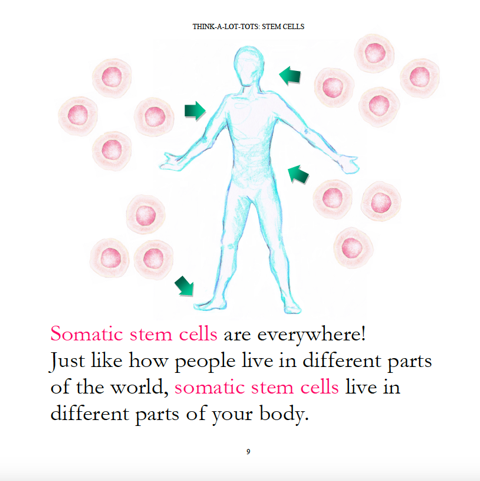 Below are a few pages from Think-A-Lot-Tots: Stem Cells and also a short interview where Thomai explains her inspiration behind her children’s book series and her newest edition on stem cells. Q: Tell us about the mission of your Think-A-Lot-Tots series. TD: The mission for my “Think-A-Lot-Tots” series is to introduce science education to our youngest thinkers in a fun, approachable and engaging way. My books do not strive to make an expert of the reader; rather, they provide an overview of a seemingly abstract and advanced scientific concept otherwise reserved for “older children” in an effort to show that babies, toddlers and younger kids can not only retain but also enjoy these same topics. My books focus on building scientific vocabulary, promoting STEM education at a very young age and sparking a love of learning as soon as possible. Q: How did you get interested in writing children’s books about science? TD: It was my son’s questions about the world around him that made me want to teach him as much as I could about all that I could. Similar to other children, several of his questions would revolve around topics such as why the sky is blue and why the grass is green. He has also pleasantly surprised me with several very insightful inquiries such as why do “tall trees” lose their leaves but pines trees do not, as well as “how do my eyes see?”. His natural inclination to ask “why” coupled with an insatiable desire to learn inspired me to teach him about science-focused concepts beyond what is readily seen such as the cell, the neuron and microorganisms. 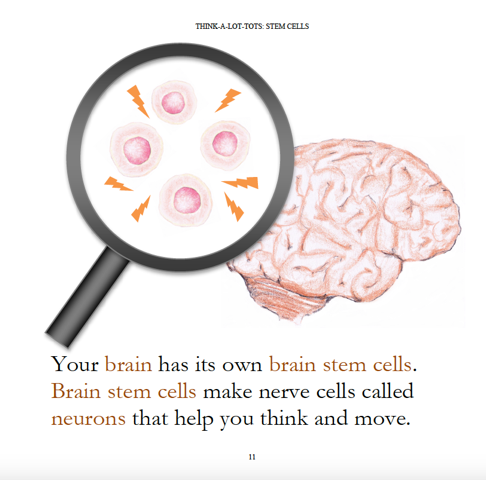 I created my first book as a helpful way for him and I to talk about topics like the cell, and I thought since I was making this available to my family, I may as well make it available to others. As such, my first book was created and 4 others have followed with a 5th nearly finished. Q: Why were you inspired to write a book about stem cells? TD: My first children’s science book focused on the parts of the cell, providing an overview of the cell membrane, the nucleus, mitochondria and others. My second book focused on the neuron, which discussed not only its different parts but also its special function within our bodies. I found that I enjoyed not only talking about what a cell or neuron was but also why it was important, and so I began thinking about what other ideas I could write about in this manner. 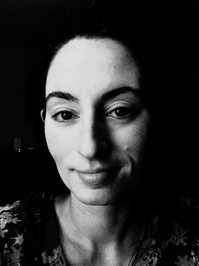 I am a pharmacist by trade and although familiar with stem cells, I was not initially as knowledgeable as I would have liked to be about what their function was within the body, what types of work were currently being done with regards to their research, and what a significant impact they could have on science and medicine. I learned more about all of this as I connected with folks within the field who focused on stem cell research, and only then did I realize how important it was for not only myself to understand stem cells but also our future big thinkers. 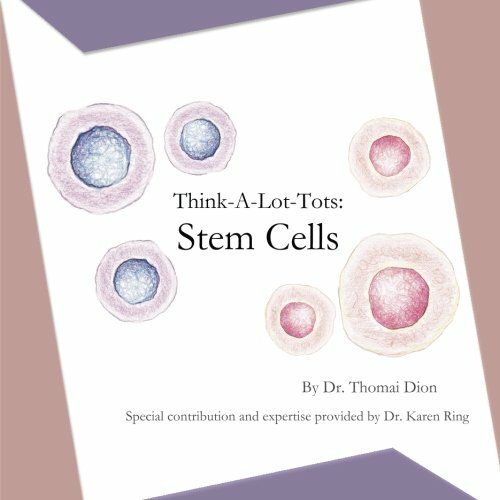 I was thrilled when you reached out to me with the idea of writing a book about stem cells and am so thankful for the guidance and expertise you provided with the creation of “Think-A-Lot-Tots: Stem Cells”. My little one will be 4-years-old soon and we’ve read the book together several times. To hear a child want to talk about and exclaim “stem cells!” before they have even begun elementary school is so wonderful! Q: What other types of science books are you planning to write? TD: I admittedly have an entire list of topics that I’d like to write about for children’s STEM education. As a medical professional, most of these topics can be found within biology, anatomy and physiology, although I do have some ideas that introduce concepts within chemistry and other areas as well. I am a few days away from officially releasing a STEM coloring book and it would be a very exciting area to explore further with additional coloring and activity books in the future. I also currently have a children’s notebook available that outlines the steps found within the scientific method and I’d love to continue creating hands-on learning tools in addition to read-along books. Q: What are your insights for the best ways to teach young kids science? TD: I think we vastly underestimate our children’s ability to learn about their world. Provided the child has an interest in learning about a topic, I don’t see any limitation in explaining the facets of that topics or introducing the terminology typically associated with its discussion. I truly believe there is no difference between teaching a child the word “ball” and the word “nucleus”; rather, it builds familiarity with the term and could even be associated with enjoyable memories if presented in a fun and engaging way. Similarly to teaching about scientific terminology, science as a whole does not have to be limited to an academic setting and only after a certain age. In reality, children are naturally-born scientists, eager to inquire about any and everything around them from the very beginning of their childhood. I recently wrote an article discussing this concept that was published in Ar Magazine entitled “The Science of Why and its Impact on Children’s Learning”. In summary and to quote part of this article, I note that “My son and I talk together constantly throughout the day about his observations, what he thinks of this leaf or that rock. I also read to him daily either the books that I created myself as well as those from other talented authors and illustrators. To hinder my child’s natural aptitude towards science would be to mute his interest in the world around him. More simply stated, my brushing-off his questions would stifle his drive to learn. In my humble opinion, I cannot bring myself to do that.” In short, I would say the best ways to teach young kids about science would be to: Talk together. Talk often. Talk about it all. You can find Thomai’s Think-A-Lot-Tots science books on Amazon and learn more about her quest to educate young minds on her website. Congratulations Karen. Looks and reads great. Thanks Don and glad you liked it!